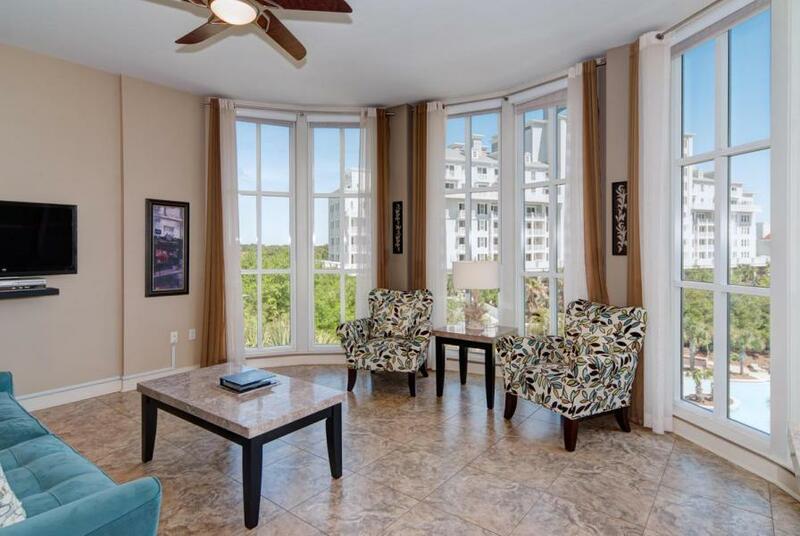 You will be impressed with the rarely seen high ceilings and the tall bay windows in the living room that masterfully show the view of the outdoor amenities. 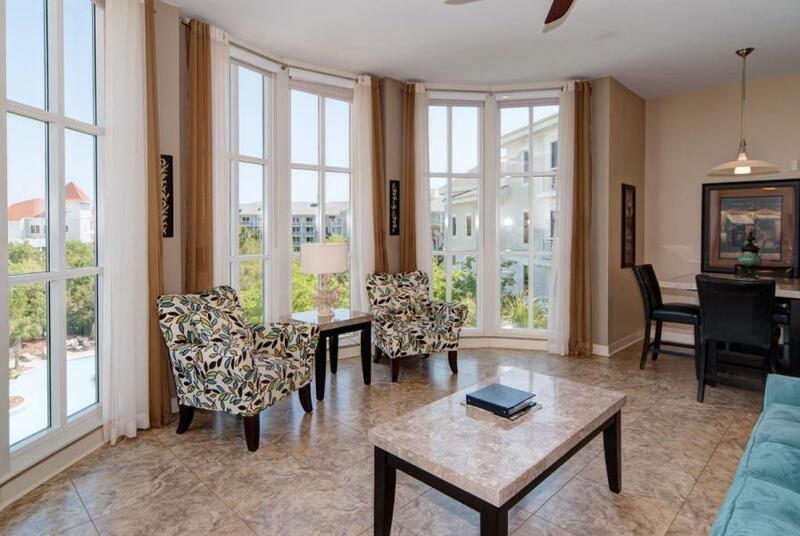 This is a must see Bahia Condo in the Sandestin Resort. 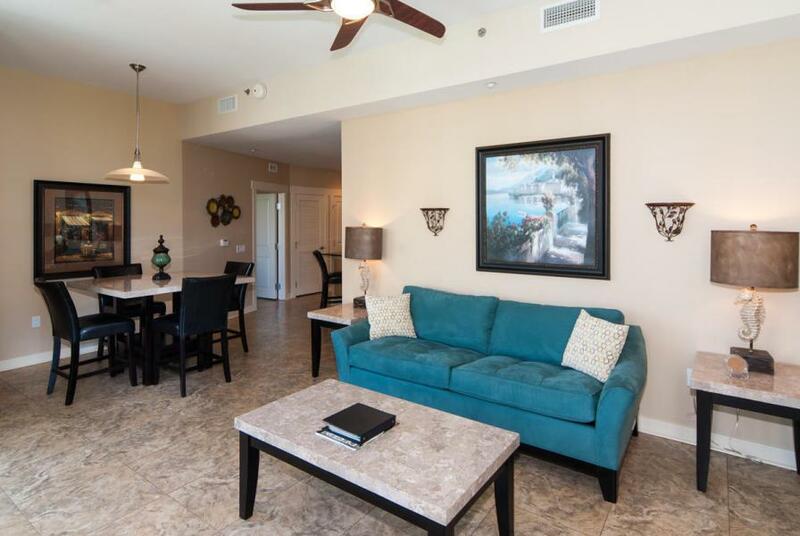 You can stroll to all the amenities in the Baytowne Wharf Village. 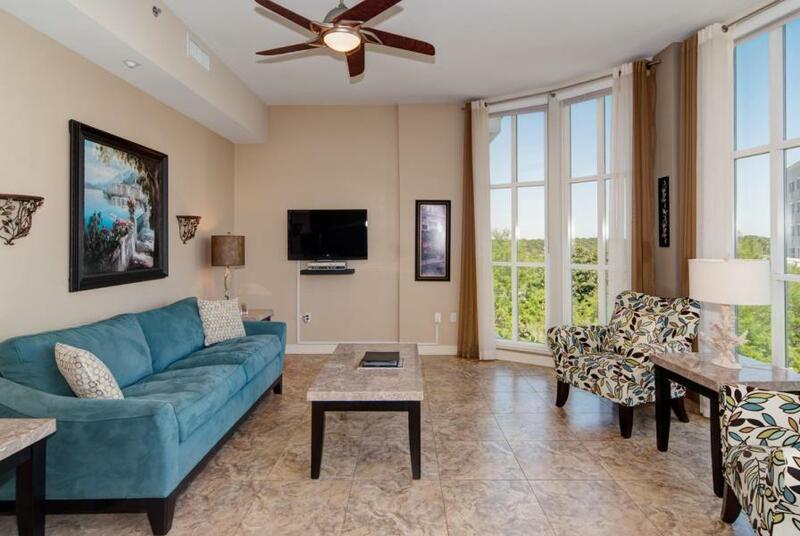 Unit has many upgrades with tile flooring throughout, and granite counter tops, marble top dining room and end tables, leather bar stools and dining room chairs. A queen sleeper sofa, adds both to the luxurious ambiance, and the sleep capacity of the unit. A leather studded king sized master bedroom set completes the elegant furnishings of this fantastic Bahia unit. New buyer's fees (1% to Baytowne Wharf Neighborhood Association and .5% to Sandestin Owners Association).